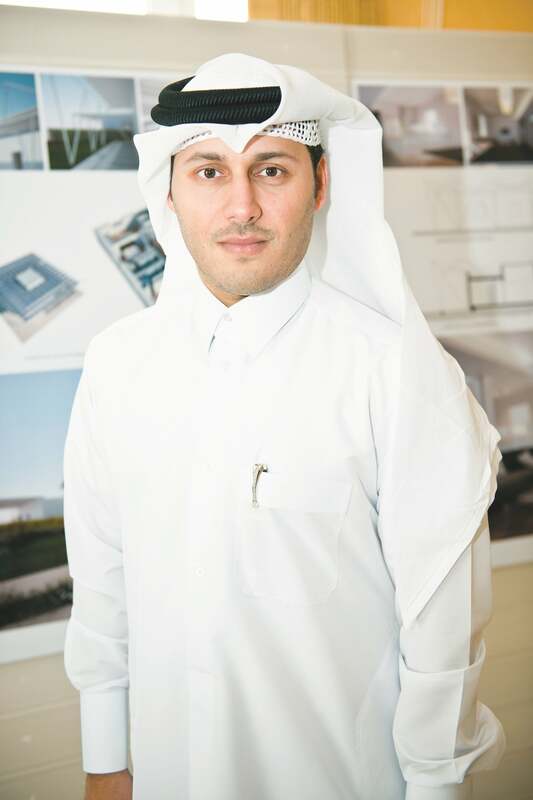 Qatar Green Building Council was the initial Green Building Council in the Middle East and North Africa, which was primarily established with the assistance of volunteer workers,” says engineer Meshal Al Shamari, Director of QGBC. Engineer Issa Al Muhannadi, the organization’s current Chairman, launched the concept of developing the QGBC in 2009, and two years later, the Qatar Foundation decided to support QGBC initiative for a period of five years. 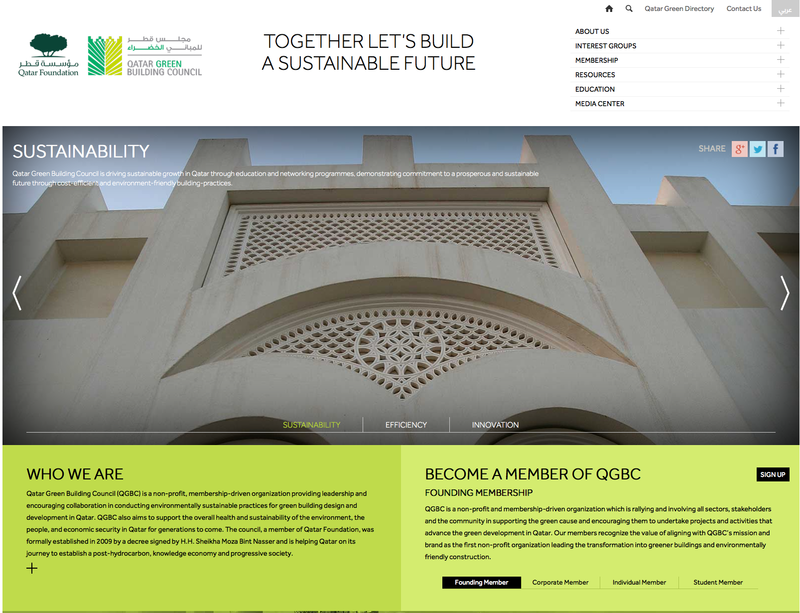 “Currently, it is under the umbrella of the World Green Building Council, which consists of around 100 Green Councils established around the world, and a member of Qatar Foundation.” QGBC, a non-profit, membership-driven organization, provides leadership and encourages collaboration in conducting environmentally sustainable practices for green building design and development within the country. “The need for QGBC was very important because Qatar faced a big construction boom between the year 2002 to 2006, and most of those projects were done without consideration of green building or abiding by the sustainable requirements of construction,” says Al Shamari. Al Shamari points out that the Qatar Foundation is one of the first major organizations in Qatar and in the Gulf region to consider the practice of green building, and the environmental impact of the construction industry within the country. “In 2009, the concept of sustainable development or green building was not popular in Qatar and the region, since it was basically a new concept.” As a result, QGBC creates awareness in reference to the relevance of green building practices, which are supported by the organization’s three major pillars. The first pillar is “Sustainability Education and Training,” responsible for creating a green building and sustainability culture within the industry, and the community through education and communication, and also provides industry professionals with expert training on sustainability and green building practices. For instance, Al Shamari says that they target schools and universities. “We focus on students from year seven till year 12. At year seven, the students have an understanding of the concepts and the technical aspects of green building and they study those items in the curriculum. Our aim is to show them or to demonstrate those aspects that they can learn –within [the subjects of] chemistry and biology– to read examples [of green building] within the industry. In universities, we focus mostly on the engineering students who will work in that field in the future.” The organization is currently hosting Master’s degree students, and is collaborating with them on two research study projects. “Our aim is to create awareness of green building in the near future so it can be part of our culture. We want to get the nation here in Qatar to integrate and enforce green building practices as part of the culture,” explains Al Shamari. Consequently, the most crucial pillar according to Al Shamari is the “Research and Innovation” leg of the initiative. “Any kind of industry or development cannot develop further without research. Research makes it very affordable to the industry because as far as the research achieves it becomes cheaper as it develops more. Therefore, we do different kinds of research with the universities and the International Research Institute in Qatar. We try to develop, or we try to search or to explore the technologies and the materials that we intend to use, and that we would like to use in Qatar as part of the green building development.” In addition, QGBC also studies different materials and previous experiments conducted in various environments. For example, in European colder climates, studies would focus on sustainable materials used in the cold environments to see how applicable those materials are when used in a very hot climate. Simultaneously, creating public awareness of the importance to enforce green building construction has its challenges. “The concept is still new in the industry, therefore most of the clients perception is that it is an expensive approach, and most of the developers would like to reduce cost of the project in order to maximize the benefits,” says Al Shamari.